The Zion 9 Chest of Drawers by Ruginao Interiors is crafted by skilled artisans in the heart of Italy. 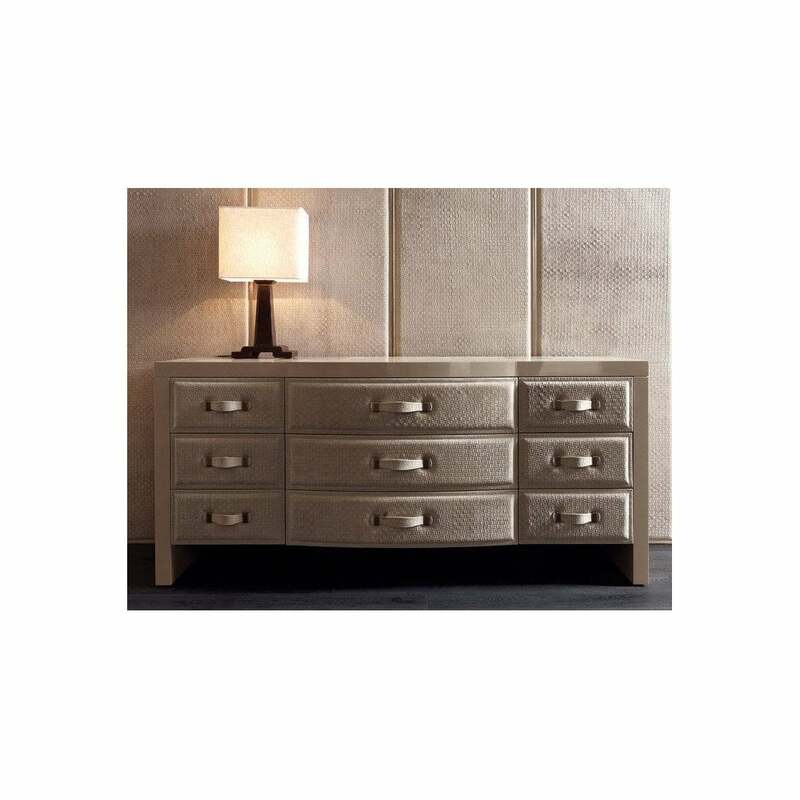 Featuring soft contours and an elegant frame, this timeless set provides nine drawers in two functional proportions. Three long central drawers provide plenty of storage for nightwear and bigger clothing items whereas the six outer drawers are useful for smaller essentials. Upholstered in the highest-quality Pelle or lacquered leather, choose from either a sleek and smooth finish or a textured effect material. The drawers are completed with pull handles in a matching leather. Combine with furniture pieces from the ‘Night’ collection by Rugiano to design a bedroom scheme that exudes Art Deco glamour. Also available with six drawers for a more compact design. Make an enquiry for more information.